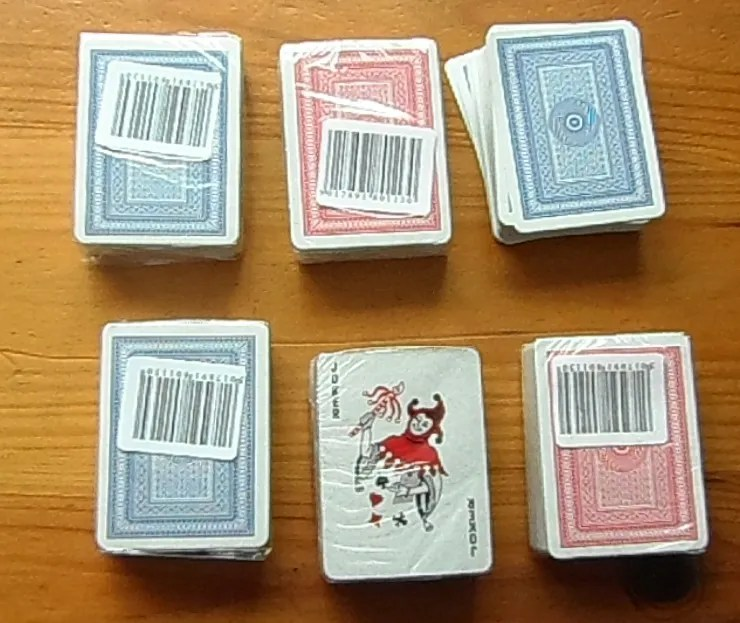 Several games rules use playing cards to determine game events, in particular Went The Day Well ? which we use for AVBCW, and propose to use for BoB/RCW under the moniker Went the Revolution Well ?. For me and some others this is a great idea, but has a downside in that you place the playing cards next to the units, actually on the table. Now, anyone having read the House Rules, will immediately realise this falls foul of my rule regarding having no extraneous rubbish on the table ! Sorry but I have to…a teenage party featured this repeatedly…and it really is a great track. 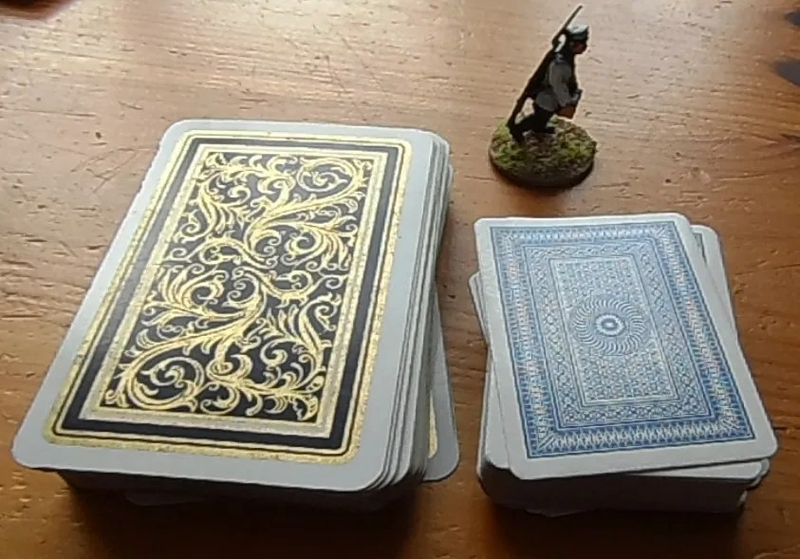 As you can see they are less than half the size of the normal playing cards. That’s a Musketeer RCW/WW1 figure for scale purposes, more of which shortly I have been busy with brush and paint. Six packs for the bank breakingly big sum of £2.33 ! 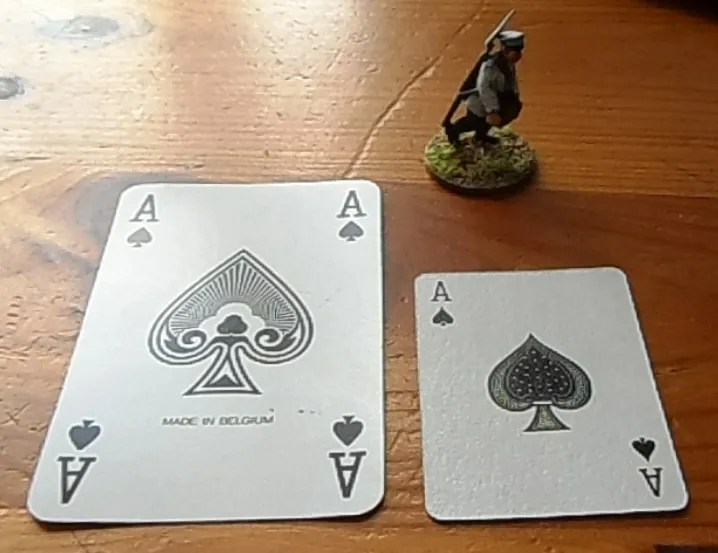 This should reduce the visiual impact of the cards greatly on the games table.